Armenians [вірмени; virmeny]. Armenian settlements first appeared in the territory of present-day Ukraine in the 11th century. Before that time Armenians came to Ukraine only occasionally, as merchants, physicians, or interpreters. In the second half of the 11th century the attacks of the Seljuk Turks on Armenia gave rise to periodic waves of Armenian emigration to Ukraine. By the middle of the 11th century there was an Armenian colony in Kaffa (present-day Teodosiia) in the Crimea and in the latter part of that century a colony arose in Kyiv, which grew into a community of considerable importance by the 12th century. At the time an Armenian physician named Ahapit gained fame in Kyiv and treated Prince Volodymyr Monomakh in Chernihiv. The capture of eastern Armenia by the Tatars in 1243 led to a mass exodus of Armenians to the Crimea. Kaffa, then an autonomous Genoese city-state, continued to be the major center of the Armenian people. Other Armenian centers in the Crimea were Soldei (Surozh in ancient Ukrainian, now Sudak) and Solkhat (now Staryi Krym). When the Crimean peninsula fell under Tatar rule, Armenian merchants continued to be tolerated. New Armenian immigrants to the Crimea adopted the Cuman language of the local Armenians and subsequently brought it to Ukraine. By the 13th–14th century the Armenians represented such a large percentage of the Crimean population that the peninsula came to be known as Armenia Maritima or Armenia Magna. The fall of the Armenian state in Cilicia in 1375, the persecution of Armenians in the Crimea after the Turkish conquest of 1475, and the religious persecution of Armenians in Moldavia in the mid-1500s contributed to the expansion of Armenian emigration to Ukraine, primarily to Galicia, Podilia, and Volhynia. This periodic influx of Armenians continued until the 18th century. 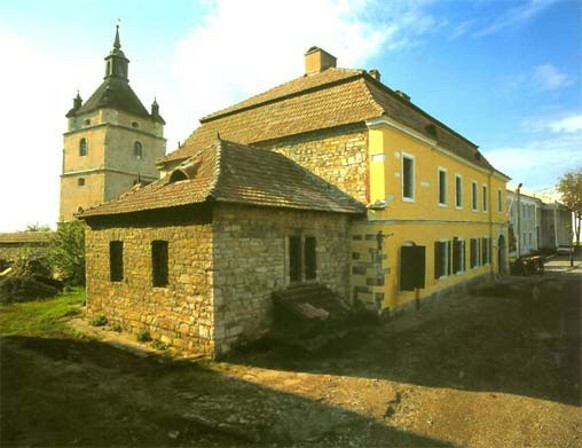 During the 13th and 14th centuries new communities developed in Kamianets-Podilskyi, Bar, Seret, Lviv, Bilhorod-Dnistrovskyi, Volodymyr-Volynskyi, Lutsk, and Zamość, and close to Ukraine, in Suceava; from the 15th to the 17th century—in Uman, Stanyslaviv, Pidhaitsi, Horodenka, Buchach, and Brody; during the first half of the 18th century—in Mohyliv-Podilskyi, Rashkiv, Obertyn, and Kuty; during the second half of the 18th century—in Odesa and Balta. At least 70 Armenian colonies are known to have existed on the territory of present-day Ukraine. The greatest concentration of the Armenian population was in Lviv, where in the mid-1600s they numbered almost 2,500, or one-tenth of the total population. The second largest community was in Kamianets-Podilskyi. The Armenian colonies in Ukraine usually had their own community organizations and their own priests and bishops of the Armenian rite. 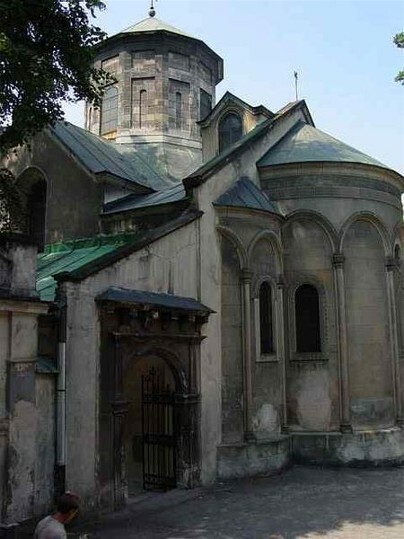 Lviv, having been the seat of the Armenian bishopric since 1365, was the center for Armenian religious life. 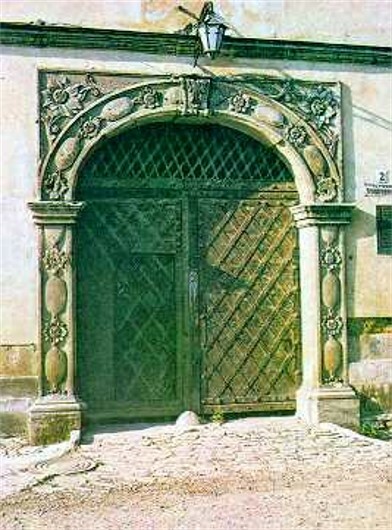 In Lviv the Armenian community was self-governing until 1469; in Kamianets-Podilskyi, until 1787; and in most other communities, until the end of the 18th century. The larger Armenian communities exercised self-rule on the basis of a common-law system called the Armenian Statute, which was approved in 1519 with minor changes by the Polish king Sigismund I the Old and remained in force until 1780–1. The Armenians brought an organization of charitable and ecclesiastical brotherhoods to their communities in Ukraine. 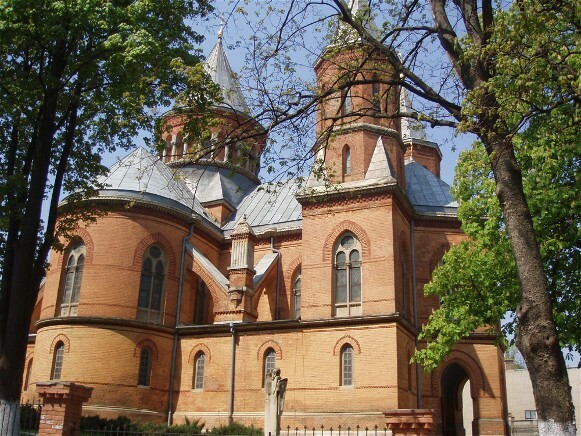 The Armenian bishop in Lviv was subordinate to the catholicos-patriarch in Echmiadzin until 1667, when Bishop M. Torosovych (Torosowicz) agreed to a union with Rome. 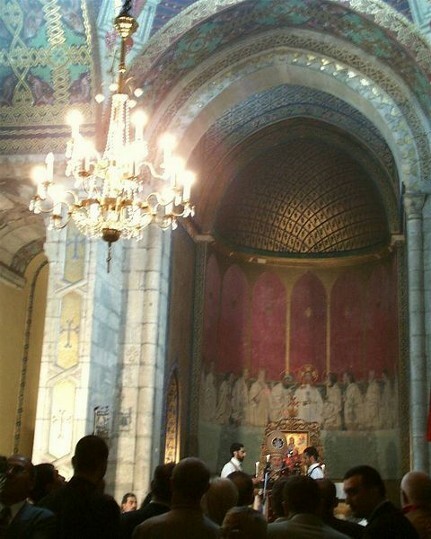 The Armenian Uniate church retained its own rite. During the second half of the 17th century the Armenian communities throughout Galicia and Podilia accepted the union. Merchants and artisans constituted the majority of the Armenian population in Ukraine. In the 16th and 17th centuries the merchant class belonged to the wealthiest stratum of Ukrainian society. For centuries Armenian merchants acted as middlemen in the trade of Ukraine and Poland with Turkey and Persia. The artisans occupied themselves primarily with goldsmithing, manufacture of weaponry, weaving, and embroidery. The Armenians developed a lively cultural life in their communities. During the 16th and 17th centuries literature and chronicling (in Armenian and Cuman), linguistics, medicine, and the artistic transcription of books flourished. 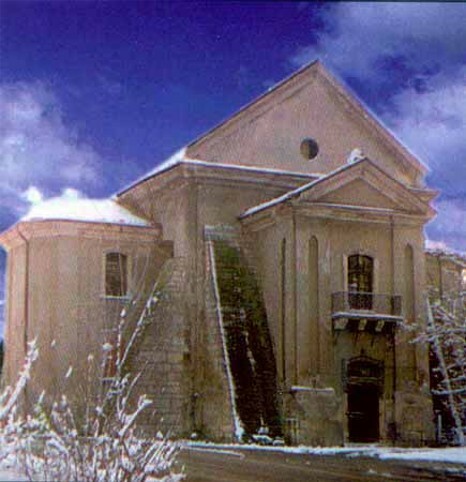 The monumental architecture of the Armenians is best represented by the Armenian Cathedral in Lviv, the church in Teodosiia (11th century), and the Surb-Khach monastery in the Crimea (14th century). The Armenians also had their own theaters and schools. There was an Armenian college in Lviv from 1664 to 1781, where the languages of instruction were Latin and Armenian until 1701 and Armenian and Ukrainian from that time on. 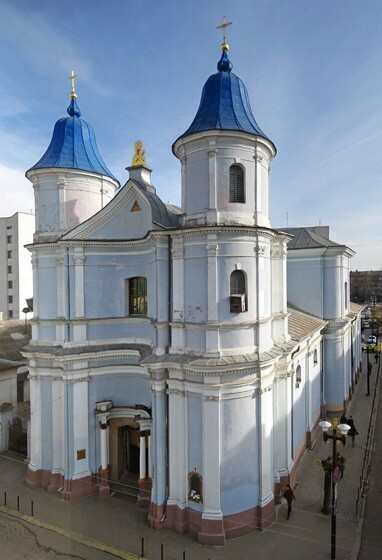 From the mid-17th century the Armenians in Ukraine were rapidly becoming Polonized, a process that was partially influenced by the church union with Rome. The new influx of Armenian-speaking immigrants, primarily from the Balkans, in the 18th century had little effect in altering the tendency towards Polonization. Increased Jewish activity in trade caused the decline of the Armenian merchant class. 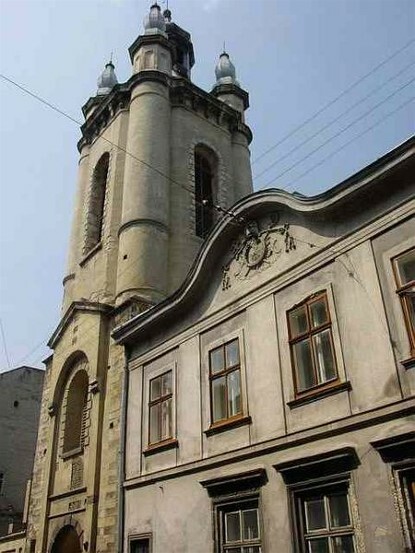 In spite of assimilation several thousand Armenians preserved their church rite, and an Armenian Catholic archeparchy continued to exist in Lviv until 1939. Just prior to the Second World War the Armenian population in the Ukrainian SSR numbered close to 25,000. This was primarily an urban population, half of which resided in the Crimea. The Armenian population in all Ukrainian ethnic lands, including Subcaucasia, approached 150,000. The largest concentrations of Armenians were to be found in Yevpatoriia, Simferopol, Yalta, Kyiv, Kharkiv, Odesa, the Donbas, Sochi, Krasnodar, Armavir, the vicinity of Maikop, Terek oblast, and the town of Kuty in Galicia. 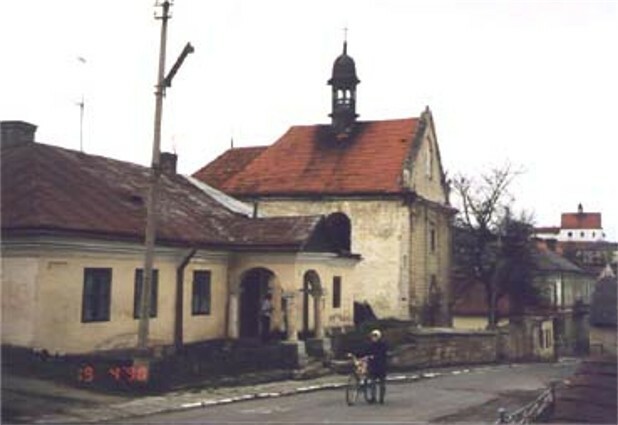 After the Second World War the majority of Galician and Volhynian Armenians emigrated to Poland. In 1970 there were 33,400 Armenians in the Ukrainian SSR (as compared to 28,000 in 1959), and 90 percent of this population was located in urban areas. Only 33.4 percent preserved their native tongue; 11.1 percent spoke fluent Ukrainian. In 2001, the Armenian population of Ukraine constituted 99,900, or 0.2% of the total population of Ukraine.